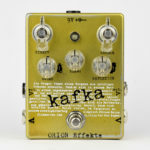 Welcome to the Kafka Reverb! 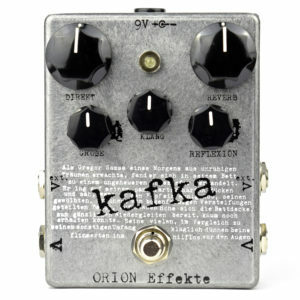 Several dimensions collide in the Kafka Reverb, whose parallel world concept was inspired by the often inexplicable work of the writer Franz Kafka. 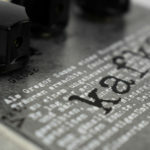 Both the volume of the dry (DIREKT) and the wet REVERB signal are individually adjustable in parallel. 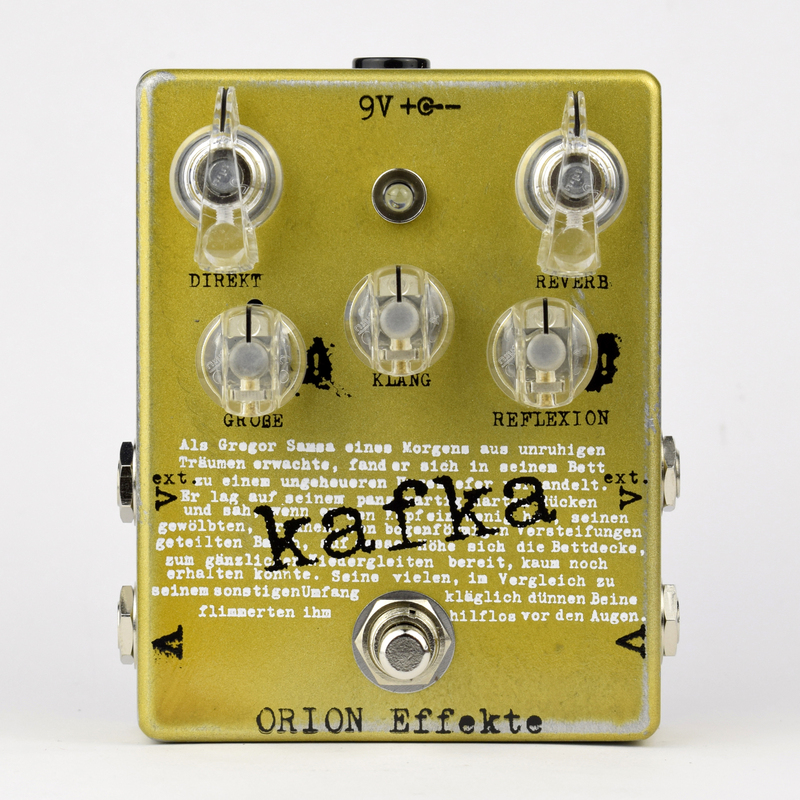 An innocuous accompanying reverb is just as realizable as the true nature of this pedal: deep reverberation without limits. 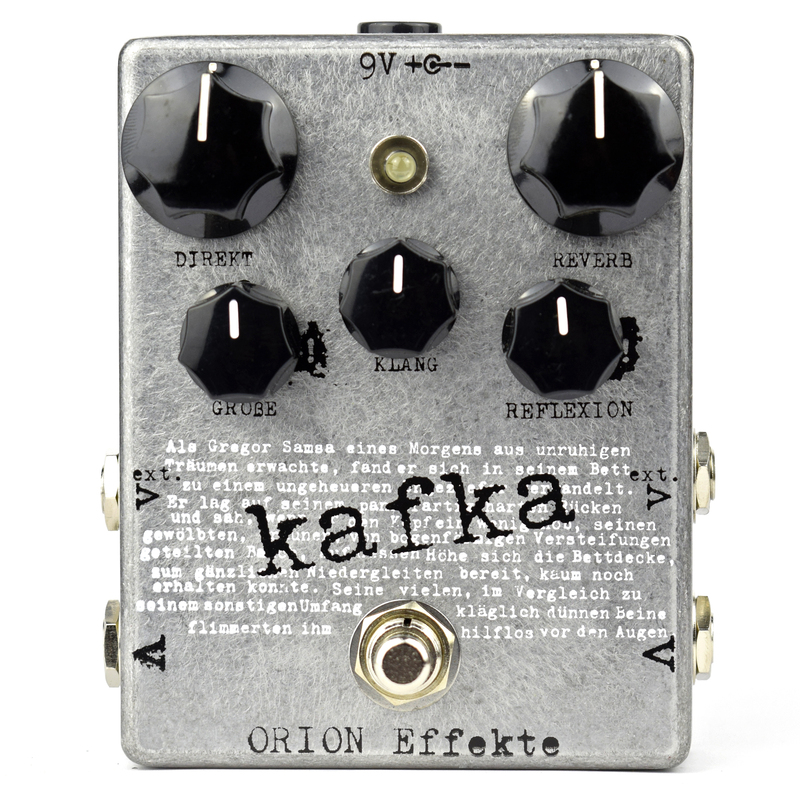 In addition to the tone (KLANG) and size (GRÖßE) of the reverberation, the reflection (REFLEXION) control allows you to set the reverb length up to an excessive self-oscillation. 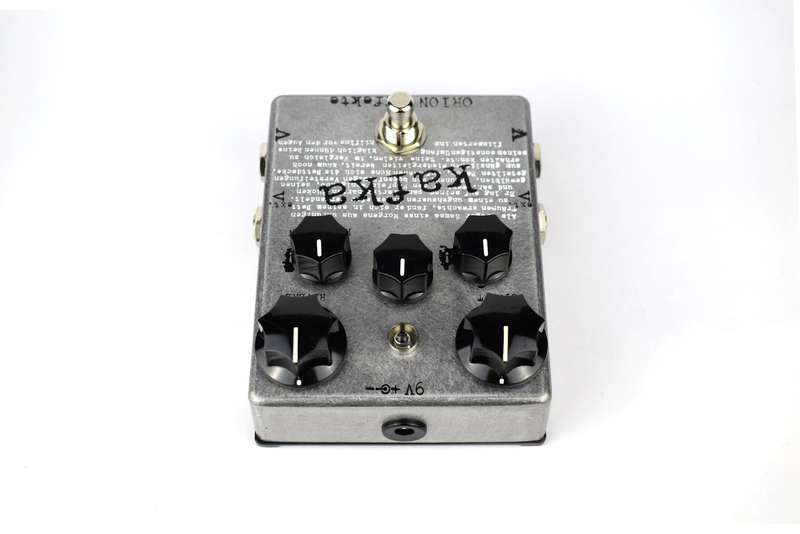 An effects loop in reverb-path with send and return jacks provides access only to the reverb signal, here you open the gate to another parallel world. 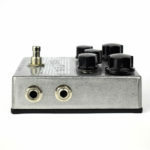 If there are for example further effects pedals (pitch shifter, phaser, delay, distortion, etc.) connected, the reverb signal can be dramatically manipulated and new, previously unheard reverb world arises. 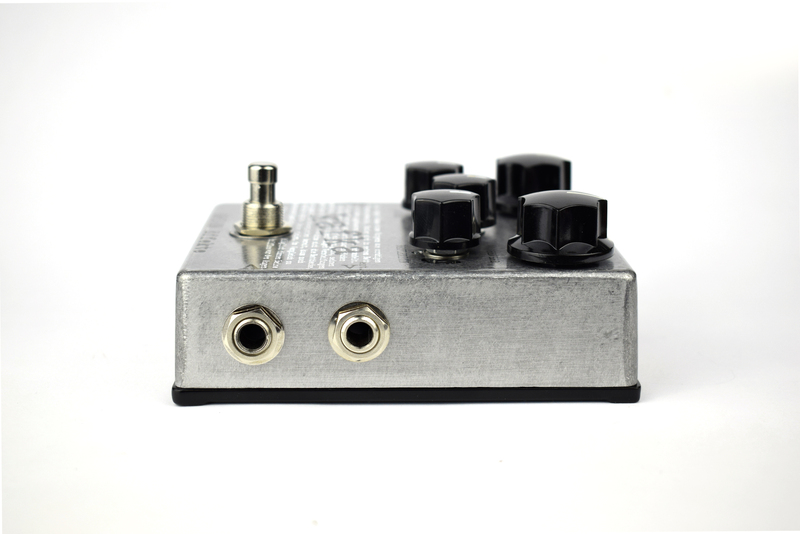 A volume pedal connected in the effects loop can also control the reverb part dynamically by foot. Or with a second instrument that is connected to the return input, you can jump directly into the third dimension, because that instrument only plays into the reverb effect. 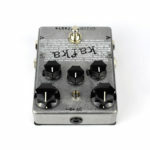 The effect of the reverb itself is mainly due to its depth. 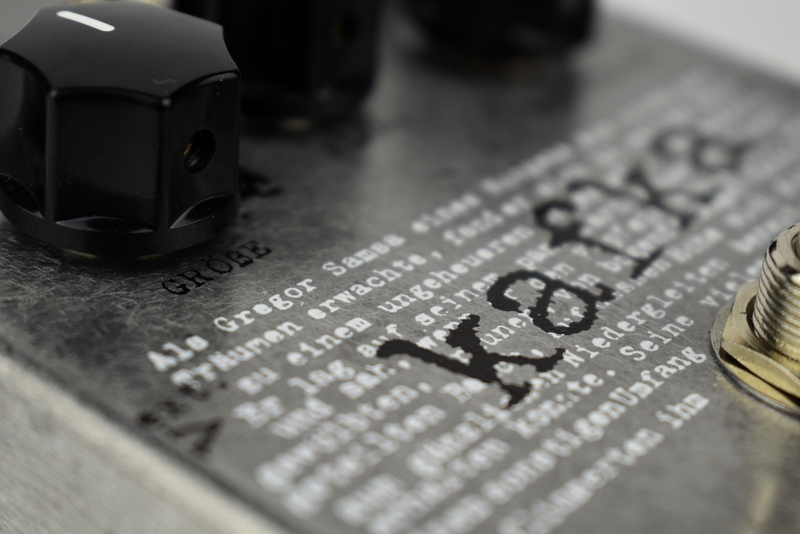 True to its namesake, the Kafka Reverb is more at home on the dark side of the reverb experience – dark, warm, somehow threatening, with a sound character that leaves an impression you can hardly escape.